You have many choices when shopping for a mortgage in the Tampa Bay area. To make your decision easier, NerdWallet has selected some of the top-rated lenders around Tampa and St. Petersburg. While most are high-volume national and regional lenders that we have reviewed, we’ve also included some local mortgage companies that do plenty of business in the area. From New Port Richey to St. Pete Beach, and all the way over to Plant City, here are our picks for lenders that cater to borrowers in various categories. These mortgage lenders are among the most active institutions in the Tampa Bay area. They have been reviewed and rated by NerdWallet. Ideal for borrowers who prefer an online experience. Homebridge offers a variety of home loan options and an online application. Ideal for borrowers who are looking to apply for a mortgage and manage the process through online tools, whether buying or refinancing. Guaranteed Rate offers FHA, VA and USDA loans for borrowers who meet robust guidelines. These companies are among the highest-volume lenders in the Tampa Bay area. While they haven’t been reviewed by NerdWallet, give them a look if you prefer doing business with a local institution. Offers a first-time home buyer 10/1 ARM with a 3% down payment and no private mortgage insurance requirement. Has a “Community Heroes” loan program for teachers, nurses, law enforcement and other eligible professions that features 100% financing. Posts its mortgage interest rates online. Allows you to start a mortgage application online. Credit union that posts and updates interest rates daily. Has a low down-payment loan for first-time home buyers, plus FHA, VA and home equity loans. Offers English and Spanish-language online mortgage applications. Has multiple locations in the Tampa Bay area. Offers conventional mortgages with as little as 3% for a down payment, as well as FHA, VA and USDA loans. Provides cash-out refinances and the streamlined refinancing of VA and FHA mortgages. Has five Tampa Bay branches. Offers purchase, refinance and home equity loans and lines of credit. 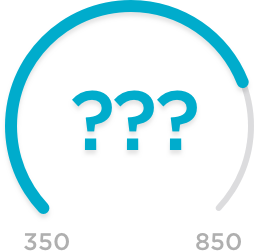 Has a preapproval program that gives a loan commitment for up to six months, even before finding a home. Lets you “float down” a locked interest rate in the event that rates drop. 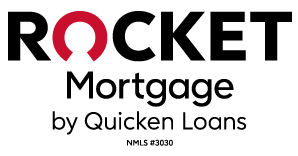 Rocket Mortgage: Best for refinances. Caliber Home Loans: Best for online experience. SunTrust Mortgage: Best for jumbo loans. Bank of America: Best for low down payments. Flagstar Bank: Best for FHA loans. Homebridge Financial Services: Best for home renovation loans. BB&T: Best for jumbo loans. Guaranteed Rate: Best for online experience. USAA Federal Savings Bank: Best for VA loans. Suncoast Credit Union: Top Tampa mortgage lender. GTE Financial: Top Tampa mortgage lender. Movement Mortgage: Top Tampa mortgage lender. Third Federal Savings & Loan: Top Tampa mortgage lender.